NEW YORK CITY, NY, U.S.A — Though he is not favored by the Republican party establishment, businessman Donald J. Trump is the party’s presumptive nominee for the general election campaign. The party leaders have held nothing back in showing their discontent. Paul Ryan, the current Republican party leader as Speaker of the House of Representatives, has been excessively demonstrative in his feet-dragging, deep lines in the sand revealing that he bemoans not getting his way. In a recent statement, Paul Ryan declared that he is “just not ready” to get on board the Trump train, despite the fact that the citizens have spoken and the majority do (or at least will on or before the date of their convention) want Donald Trump to lead their side in the battle for the nation’s highest office. So what does happen when the will of the people comes to a head with the will of the party establishment? And isn’t this a paradox of sorts? Isn’t the will of the people the will of the party? At least theoretically, shouldn’t the two be one and the same? Therein lies the trouble of modern “democratic” elections, the kind that are sweeping the world into submission one military invasion at a time. Contrary to its objective, bureaucratic visage, government is not, at all, an outside body nor is it a faceless institution. Government is people. Presidents, prime ministers, chiefs, treasurers, secretaries, heads of state—they are all people, are they not? People who are elected by other people—citizens—whom, by the way, they swear to loyally serve and protect. 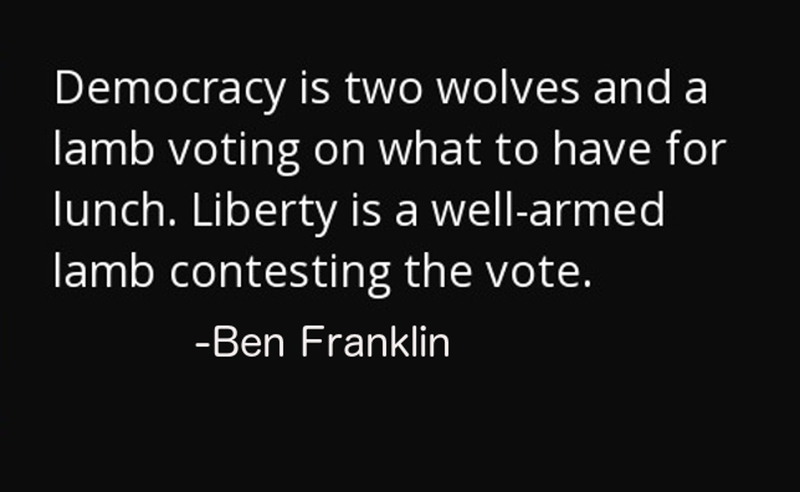 Democracy, at its essence, should assert the will of the people. Of course I am speaking in ideal types. The way scientists understand the natural world to operate without the chaos and of human judgment, greed, and malice. Today’s modern governments quite often deceive us with their appearance of electoral politics as usual, but behind this mirage lies a web of moneyed elites and their politicians, hand-picked like morning eggs from a farm hen, who speak glorious, golden words that aim to convince ordinary citizens they have their interests in mind—meanwhile surreptitiously furthering the goals of the global elite, which no doubt culminates in taxpayers’ hard-earned treasures directed to offshore vaults. Although this version of modern day politics is pervasive, it is hard to believe that Donald Trump draws from this particular game plan. Unlike other presidential hopefuls, Trump is wealthier beyond need. He has no obligation to the elites; what could one possible offer to payoff a billionaire? Quite the opposite, the longevity of Trump’s businesses and investments—his hotels and casinos—actually need Americans to be well-off. Without disposable income for Americans to spend, his enterprises cannot possibly thrive. Indeed, there is an inkling of a personal motive to his yearning to make American great again. Perhaps Trump’s enterprises would be better off it the people living within the boundaries of his country were prosperous. If that were true, it would be a win for democracy—though not a victory for the elites. So here goes the process of taming Trump—but not in the way that would seem obvious to the causal observer. Not taming his speech or his tone. Not taming his language or his style of bombastic rhetoric. But taming his (genuine) populism. The Republican establishment want Trump to be for the people on the surface but for the elite below it. The way Obama preached hope and change but brought more of the same—poverty, inequality, violence, and regime changes. Without some sort of pledge from Trump written or otherwise that he will adhere to the will of the establishment, the global moneyed elites, he will likely get no verbal or financial support from the Republican establishment. The government-people, sworn to citizen represent-people but acting well beyond their interests, will drag their feet in the mud and refuse to support his campaign. Those millions (and maybe even billions) of dollars needed to run attack ads and support political campaigns in the horrifically and unconstitutionally expensive voting showdowns will stay locked up behind a firewall that will not come down without a putrid handshake. What can we do about rigged elections that happen near and far, ubiquitous as drones hovering over every meter of airspace? How do we stop these rigged elections which threaten our livelihoods, our freedoms and liberties, our sanities, and our children? Truly the power to attain political justice, lies in the hands of the people. Though only an educated populace can lead countries out of deception. This is why the fight across the globe does not only take place in battlefields, airspace, courtrooms, or political arenas—it is in our classrooms. The persistent ploy to undermine public education—to privatize schools, to eliminate standards, and to reduce teachers’ compensation—is all part of a grand scheme to engineer a populace that does not have the intelligence to muster a formidable defense to corruption via oligarchy. So what if we know the game is rigged, so long as we do not have the cultivated brains, the cooperation, and the honed discipline to do something about it. No matter that he is far from being the perfect candidate, still it remains a miraculous achievement for a political outsider like Donald Trump to amass the majority of support from a major political party. Though the true test of miracles lies ahead: in whether rigged elections and debilitating political pacts will continue to be the direction of the future or whether a revolution will occur that restores in democracy its true namesake. Previous articleThe Triffin Dilemma or Dangerous Excuse for Furthering American Imperialism? No doubt. This captures fully and unrelentingly the terrain of US politics in the 21st century. Trump, like Menes Tau would say, has already won! The PROBLEM, my friends, is that the USA has been TAKEN OVER by a MINORITY coming from ORIENT like the Three Wise Men, the Middle East, precisely, which carries the old Semitic trait of a GLOBAL EMPIRE and UNIVERSAL JURISDICTION invented by Sargon I after taking over from legitimate Sumerian Kings (as they did in the US) through a silent slow pacific but relentless invasion. Well, none knows for sure…. perhaps simply what we see on TV. Yes, what order? I ask this everytime I am told (again by the tv) that every leader who will not be bought is a dictator. Trump is just racist for now in the media. But soon he might also be painted a dictator. Explosive again, this Nefetiti! Trump will continue to stamp his name in every corner. The issues about border control, illegal immigration, jobs, low wages, healthcare and foreign invasions have divided the country. The elite feel that Trump and his myriad supporters misunderstand these issues. But misunderstand or no, this is democracy and if Trump wins, the people have won.